abilities to think independently, flexibly, and with deep understanding. Be patient. This is a new way of thinking about math for most students and adults. Expect to be surprised by your students' ideas. Don't worry if you can't answer all of their questions. Explore with them. Join them in the spirit of adventure! Don't worry about finishing. These projects are challenging. It's better to spend time digging deeply into one or two questions than rushing to complete everything. Break it up if necessary. You don't have to do the activity all at once. If students get bogged down for a long time, come back to it again later in the school year when they’ve had more experience. Most people initially use the projects as supplementary activities for advanced learners. As you become more familiar with them, you may eventually find that many of the projects work well as vehicles to teach concepts. Just click on the title to download a free pdf of a project. Are you looking for projects like these for middle school and upper elementary? 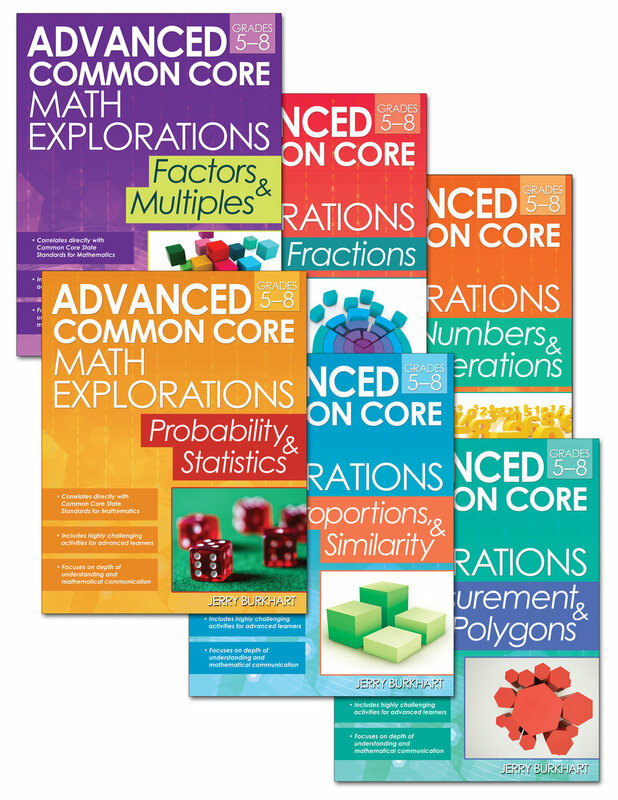 See my Advanced Common Core Math Explorations book series!